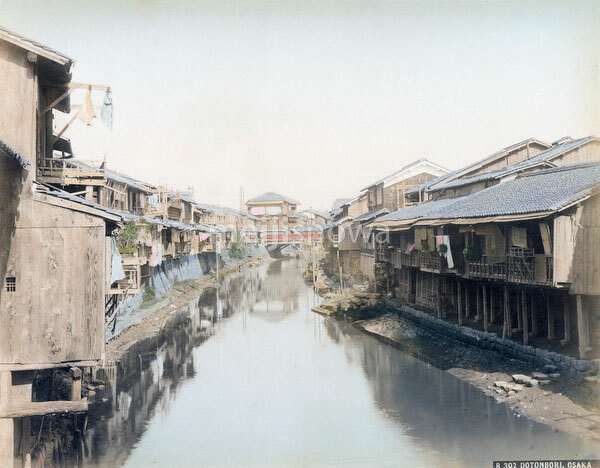 According to the title on the negative this is a view on the Dotonbori canal in Osaka. This is unlikely. Instead, it might be a view on the Shijimigawa River in Osaka’s Kitashinchi.